Want to make yourself and your music stand out from the rest? In order to be the "big star" you're cut out to be, you're going to have to get your "buzz" up. Getting your buzz up involves having you name and face as many places as you can. Below I will explain the different types of buzzes you need in order to make it to the top! The Street Buzz: This is perhaps the biggest buzz you will need as an artist. When I say the "streets" I don't just mean the urban or lower middle class areas. Your street buzz means average people that you see everyday in or around your community. Your number one goal should be to be the most talked about, listened to and respected in your area. No major labels will come your way if you don't have a strong street buzz in your area. If you genre is R&B, Country or pop, having a street buzz might not be as important as if you were a rap artist. For rap artists, having a strong street buzz is a must to make it, no exceptions! An easy way to gain a strong street buzz is to be as social as you can when it comes to putting your musical talent out there. Remember the golden rule when it comes to obtaining a street buzz, "give to get". For best results, have those closest to you (your group or family) help you promote. To gain a big street buzz, most artists have a "street team". Street teams usually pass out your flyers, CD's, Videos and other promo tools to promote you. Bottom line, keep your name circulating everywhere in your city or town. The Internet Buzz: Welcome to the new age of promotion. Learning how to promote yourself on the internet could possibly lead to the biggest buzz you've ever seen. I've have personal experience of what good advantages an internet buzz has to offer. Not only will you be known down the street, you'll be known in another country possibly! Having your music online at places such as Soundclick, Myspace, CD Baby, Music Submit etc. will showcase your talent to thousands, maybe even millions of unknown ears. The internet buzz could enable you to sell tons of CD's and other merchandise that has to do with your music. A lot of musicians make a good living off selling their music independently online. When I was 17 I put my first CD on CD Baby and sold over 3000 copies in 4 months. It might not sound like a lot, but it was the biggest amount of CD's I had sold online for my first time. Not only did I sell CD's in the U.S. but I also went worldwide as I call it to sell CD's in Australia and Japan. While you are sleep, you could be making lots of dollars from your music online. Just because you're sleep doesn't mean you can't make money from the billions of internet searchers online. Since there are so many people online, you're music is guaranteed to be heard by someone new. Learn to use a site like Myspace to put you're music out there like never before. With the new features of Myspace, you now have the option of selling your CD online, making connects, listing your shows and even make your own band merchandise for free. The keyword to succeeding online is "Networking". Networking means reaching out to everyone you can that's either related in the field you're in or other connections that will help you get to where you need to be. The internet is not like being in person, there should be no nervousness or shyness about contacting someone since it's not face to face, there should be no excuses! 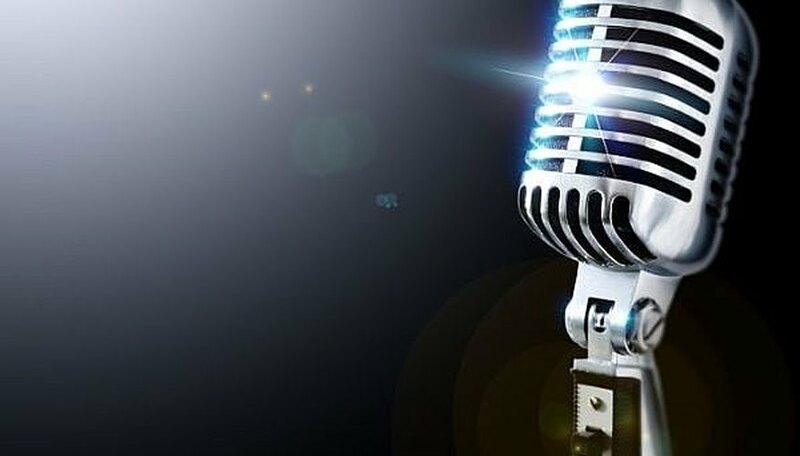 The Radio Buzz: Getting your music heard on the radio is probably one of the hardest things to do for an independent artist. For most people to get their music on the radio you either have to know the right people or have a strong enough buzz for them to play it. When you're street buzz is strong, the radio buzz is next to come. When people in the street constantly keep mentioning you and your music, the radio has no choice but to give people what they want. The radio buzz in contagious, once you get played on the radio a couple times by one station, you'll start hearing your music on another station. The more people that call in and request your music, the bigger your radio buzz will get. It's not likely for record labels to ignore what's being played over the radio waves, this step usually makes an artists! You may be thinking that radio DJ's just play "anything" on the radio even if it doesn't sound good! You're right, most of the time when you hear a horrible song on the radio it's because of whom the artist knew in order to get their song/s on. Just to bottom line it, some artists even pay radio stations to play their songs! If you don't want to have to go that route, take step one and get your street buzz up!